Here is a kit I built a few years back. 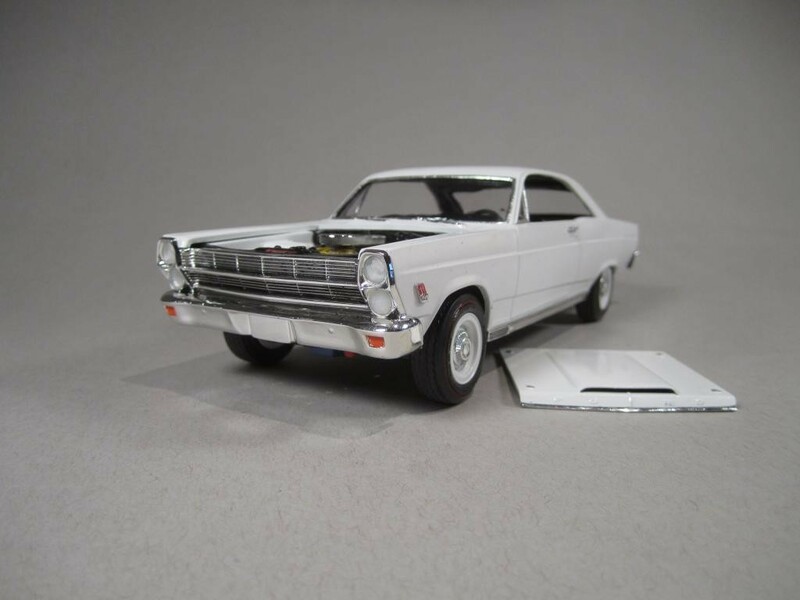 The Fairlane 427 was Ford’s arrival on the “Factory Hot Rod” scene in 1966. 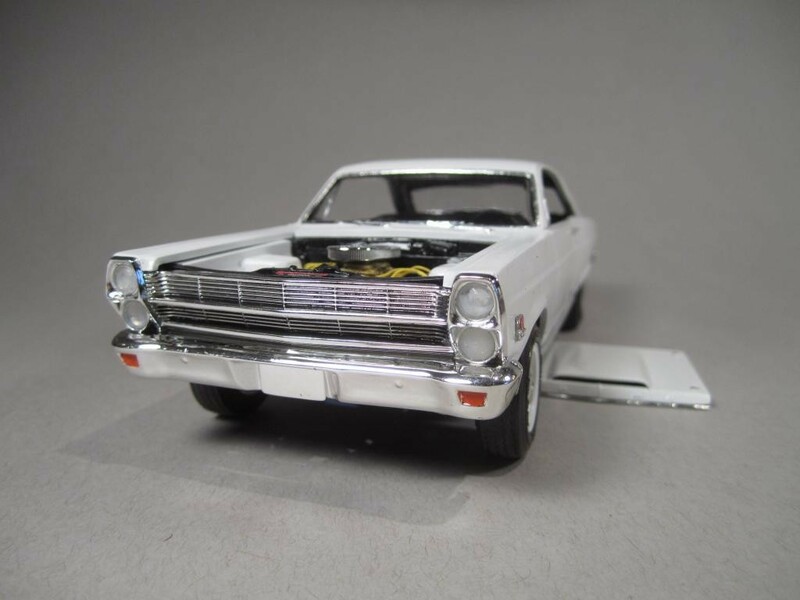 Built to compete with Mopar’s monstrously successful Dodge franchise, the Fairlane featured ultra-light construction and a fibreglass sealed air-ram scoop hood. Everything unnecessary for speed was left out. Instead of hood hinges, four chrome hood pins. Interior finishes were minimal. There wasn’t even a radio! It all paid off. 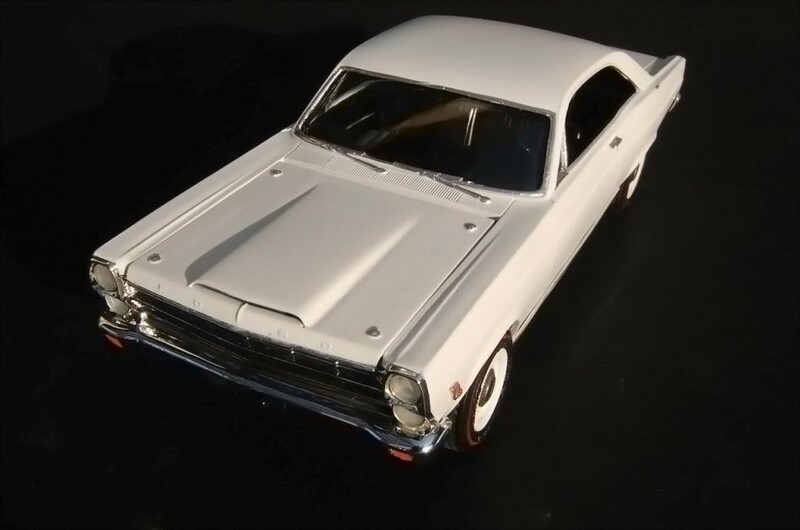 Ford set an NHRA B/Stock record of 11.42 seconds over a quarter mile with a top speed of 110 mph. I picked this kit up at a movie set sale and it sat in my garage for many years. I built it two years ago and it marked my return to the hobby after 2 decades. Doesn’t appear your “hiatus” slowed ya down much…..nice job. IIRC, Mercury’s Cyclone 429 cu.in. debuted around that same time, didn’t it? Very nice job on that model. The FAIRLANE always dis have a racy look to it, no matter at what angle it was viewed. You did a beautiful job on it. Thanks. 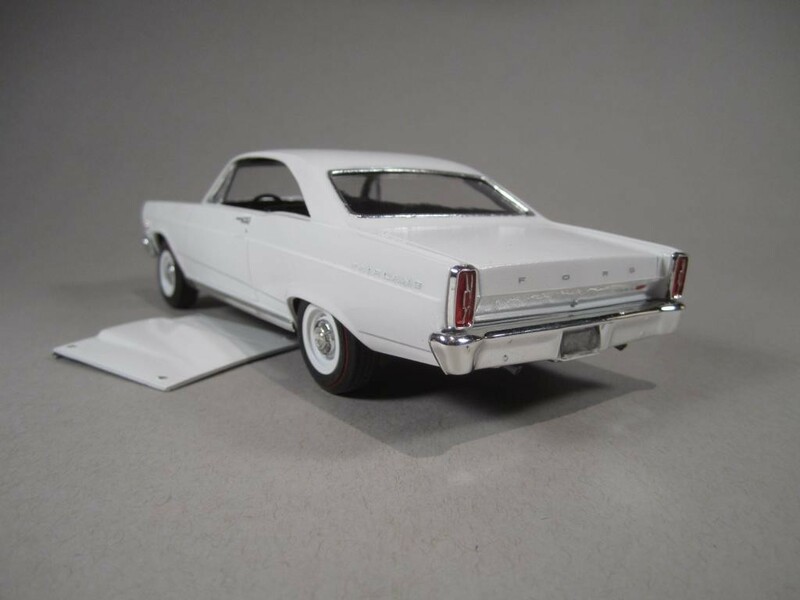 Always loved the Fairlane as a kid. Nice clean build, makes me want to go out to Pomona and watch the quarter mile cars pop a few “wheelies”! That’s very cool, Peter, I’d love to hear it as well!